Which one of these guys would you trust to tell you about plants in the Triassic period? In Part 2 of our scientific spokesperson series, we listed five characteristics of being a good spokesperson. The first qualification was to be credible (on the issue). Scientists, by the pure nature of their degree in science are credible to much of the public. In a 2006 survey on Bridging the Sciences*, when asked to choose the best spokesperson for science, 51% ranked scientists first overall and 78% of Americans ranked scientists in the top three (with medical professionals and voluntary health organizations). However, within the scientific community, we acknowledge that a biologist may not be the best source for a news story on an earthquake and a physicist may not have the appropriate expertise to discuss the effects of a prescription drug. But, scientists who put themselves into the public arena are asked to comment on a number of scientific issues - not just the ones they specialize in. While those scientists probably know more than the person interviewing them, and even the majority of people who'll be receiving the information, they aren't credible on the issue. If it isn't one of your areas of expertise and especially if it isn't in your field, just refer the person seeking information to a colleague who is more entrenched in the issue at hand. Obviously, in casual conversation, your knowledge is likely to be more than sufficient. In the same way that scientists frown upon splinter groups who prop up anyone with a PhD to present the opposition argument, we must represent science with the most credible spokespeople on the issue. This is Part 3 of the New Voices series on being a spokesperson for science. Want to work in a lab like this over the summer? Once upon a time (a couple years ago) I was a teacher. And speaking from my experience both as a student and instructor, there could really be no better investment in the future of research in this country than to expose more teachers and students to the practical way that science is applied in real life. So I couldn't have been happier when NIH Acting Director Raynard Kington announced at the National Forum last week the agency's plan to route some of it's $10.4 billion from the recovery package into a program that gives high school students and science educators a chance to work in a research lab over the summer. The program not only opens up job opportunities within labs, but will expose young people (and those teaching them) to real-world research. It'll both stimulate the economy and invest in the future - two of the major goals of the American Recovery and Reinvestment Act. If you currently work in an NIH funded lab, I strongly encourage you to check out this exciting opportunity to both advocate for your own work, improve your science communication, educate and inspire others. Also, if you are/know a science teacher or interested high school student, tell them to look for opportunities coming to a lab near them. Details about how to get involved are available through the NIH website. New Voices is off today and out enjoying the spring weather and blooms. The National Cherry Blossom Festival kicks off this weekend in DC. The annual event features parades, activities for kids, cultural performances and of course the lovely cherry blossoms along the tidal basin. As a resident of the area, I tend to avoid the crowds downtown and instead head off to the arboretum to enjoy the cherry blossoms. The National Arboretum was established in 1927 by an Act of Congress and is spread over 446 acres. Since it isn't located down by the Mall, most visitors are completely unaware of its existence. I was down there this weekend and some of the cherry trees are already blooming. Walking by some of the trees this weekend, I noticed signs posted with cartoon microscopes on them! What? Upon closer inspection, I realized the signs said that important research was in progress and to not disturb the area. Research? at the arboretum? I came home and did some e-research of my own. The arboretum supports researchers studying everything from conservation to taxonomy and generation recombinant disease resistant plants. Anyone out there know more about this? Even on our days off, we can't help but run into research. Have a great weekend! 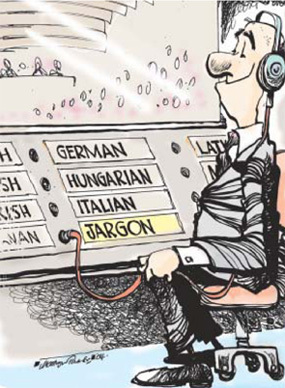 One of the first things I had to learn (and am still struggling with) is communicating without the technical jargon. It sounds simple. But, in reality, is really, really tough. Try explaining vaccine development without using the words peptide or antibody. Using the correct (scientific) term is an integral part of getting trained to being a professional scientist. That is what I was trained to do for over a decade. Now, I have to learn ways to communicate the essence of the science without leaning on terms and words because they often mean nothing to non-scientists. My first day at Research!America, I was chatting with my colleagues and they asked me what I did in the lab. I gave them a long-winded explanation and I tried really hard to not use technical terms. At the end of my spiel (which I thought I had done really well), one of my colleagues said, "I think I got about 10% of what you said." That stunned me. Every scientist should have the three sentence elevator speech about what they do. People want to know the "what and why" of any argument. But they don't want to spend hours listening to the minute details of the argument. The difference between being an advocate and being an advocate that people pay attention to is largely a matter of being able to communicate well. No one questions the scientific credentials of scientists. Just by virtue of the fact that you have earned your PhD alone, you gain huge amounts of credibility in the public's eye. Translating that credibility into a platform for effective advocacy involves learning to communicate well. Yesterday Research!America held a series of annual events including our 2009 National Forum: Science in the Service of the Nation and Advocacy Awards Dinner. This is big news at New Voices for a couple of reasons. First, because the New Voices for Research initiative was officially launched. Hooray! Secondly, all of the regular New Voices contributors helped organize and attended the events. So, we thought it might be nice to share a little bit about what we've been working on (outside of New Voices) and some of the key moments from yesterday. It was exhilarating to be at the event and hear so many stalwarts of science share their thoughts. The most exciting thing for me was the enthusiasm in the community for science and research. It was refreshing to hear that research should be viewed as an investment rather than as an expense.The consensus was that this is the time to build new partnerships and invest in human capital. I wanted to get up and cheer when Dr. Kington (acting head of NIH) said that we have to send a clear signal to young people that they have a future in science. He said that when a young person gets excited about science, it increases society's investment portfolio. It was so inspiring to hear the leaders of the research community talk about investing in the investigators of tomorrow. 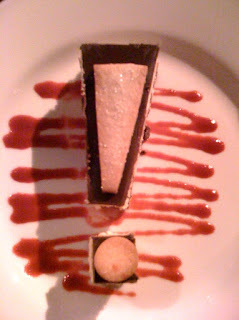 The Advocacy Awards Dinner was a magnificent success. All seven award winners were brilliant, inspiring individuals that have passionately advocated for science and research in unique ways. The energy in the room was electric; it was easy to see that everyone is excited to welcome a new era for science in the United States. Being part of planning for huge events like this can be overwhelming and time consuming. But, like most things that take a lot of upfront effort, the end result is so much more satisfying. It also helps you remember what a team effort event planning can be. Being the point of contact for heads of government agencies and multi-national corporations can be a heady position, but nothing would run without the people responsible for coordinating nametags or media outreach. We had a last minute panelist substitution and at least five members of the staff rallied to prepare for the new panelist - not to mention his willingness to step up and serve on a panel with 10 minutes notice! It would not have been possible without good team dynamics and strong relationships built beforehand. We'll keep giving you tips on planning events (like we did here and here), but my take-away from yesterday's whirlwind was definitely that nothing makes event planning easier than solid upfront organization and a magnificent team of people supporting the effort. This article from ScienceInsider (Science magazine's blog) about Sen. Arlen Specter's remarks upon receiving the Research!America Legacy Award. Part 1 of our series about planning events mentioned five basic steps to consider during the planning process. The first step we mentioned was defining a goal. Having a goal sets the tone for the planning process as well as the atmosphere of the event itself. Answering these questions will help you focus your planning process. Many events have one or more of these types of goals: education about an issue/topic, advocacy, fund-raising, media coverage. Assess your progress at each stage of the planning process to make sure that your event will meet your goals. One hundred and fifty years after the first publication of Darwin's On the Origin of Species, the creationism vs. evolution debate persists. This morning’s Wall Street Journal reported that the Texas Board of Education is set to vote on new science curriculum this week. The proposed changes would prompt educators to raise doubts about evolution, opening the door for teaching creationism in the classroom. This has been an ongoing debate in Texas for years and has come to the forefront again as advocacy groups from both sides of the platform seek to promote their viewpoints. The National Center for Science in Education in California advocates for preserving evolution as part of public school science curriculum. The NCSE has been tracking the developments in Texas and provides updates and opportunities to take action here. Contact information for the Texas Association of School Boards can be found here. Let them know where you stand on the upcoming vote. During the current economic turmoil, one thing is constantly on most people's mind---money. Money is an integral part of advocacy - whether you run an organization or are dedicated to a cause - and it "doesn't grow on trees" (though we all wish it would). Many times, particularly in the non-profit world, money is raised through fund-raising. There are some innovative and non-invasive ways to approach fund-raising from a grassroots level. One of the best ways to raise money is to time your campaign to an annual event - like a holiday or a season. The American Cancer Society has run a highly effective campaign for over 35 years called Daffodil Days. Daffodil Days is launched each spring. So, watching the first daffodils poke their heads out of the frozen ground not only reminds me that spring is here, it also reminds me to give to the Cancer Society. As the first flower of spring, the daffodil represents hope and renewal - the hope that the future will be cancer free in America. Daffodil Days has raised upwards of $250 million so far. Another great campaign is Trick-or-Treat for Unicef. Linked to Halloween- a holiday that revolves around kids - they raise money for impoverished children around the world. Both of these campaigns not only raise money but also raise awareness in the community about the cause they are supporting. They are both examples of long-standing, traditional door-to-door campaigning that have now also adapted themselves to the growing trend of e-philanthropy. 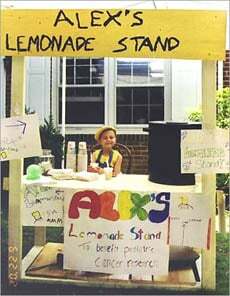 A more recent campaign success story is Alex’s Lemonade Stand Foundation. Alexandra "Alex" Scott was diagnosed with a type of childhood cancer before she was even a year old. She decided to set up a lemonade stand in her front yard and donate the money toward childhood cancer research. Alex’s Lemonade spread like wildfire and people started to hold their own lemonade stands all over the country, donating the proceeds to her foundation. Alex’s Lemonade even became a Rita’s Water Ice flavor...yum! All three campaigns involve simple ideas - a flower that represents hope, kids raising money for kids and a little girl's lemonade stand- but contain powerful messages. Whatever approach you decide to take, always remember to stay true to your mission. We wish you good luck raising funds (and awareness) for all your worthy causes. In the past couple of years there has been much talk in the field of science communication about framing. Framing is simply a way to talk about a specific issue that helps people recognize the way that issue relates to them. You: You know that glass vase you kept saying you hated because you could never reach your hand to the bottom to clean it? You: I don't think you have to worry about it anymore. You: You know that heirloom vase with your hand-painted family tree on it that your great-grandmother gave you before she died? You: Do you have a picture of it? You: Because I already bought the super glue but couldn't remember which of your relatives go next to each other. In a way, framing is "lensing" an issue - it is how you approach something. Framing tells you why an issue matters and what to do about it, often without you having to think about it. Most importantly, framing focuses attention on one aspect of a situation to the exclusion of another. Framing is a good tool for advocates because frames can be used to: strategically define issues, mobilize, minimize or expand media attention, and shift debate to favorable policy contexts. What kinds of frames do you see about science? *Gamson, W.A., & Lasch, K.E. (1983). The political culture of social welfare policy. In S.E. Spiro & E Yuchtman-Yaar (Eds. ), Evaluating the welfare state (pp. 397-415). New York: Academic Press. It's a running joke here in the Washington, DC area that the first thing you ask a person when you meet them is what they do for a living. Here at New Voices we've written about getting out and shaking hands with the people around you, learning about what they do and sharing your work as a scientist with them. So, how about you? What do you do? We look forward to meeting you in the comments section! Here at New Voices, we want to propose a toast to all of the amazing advocates out there working to make research and science higher national priorities - hear, hear! So in honor of St. Patrick's Day, we're looking into our glass to explore the science of beer and the advocacy community that supports it. The "art" of beer brewing is actually an exact science. Temperature, timing and ingredients are integral components to producing a tasty brew. Malting allows the barley to partially germinate (sprout) and is followed by a roasting process. The mashing process grinds the barley into tiny pieces and then heats the grain in water, converting some of the starches into sugars. During fermentation (the most important step), yeast and natural enzymes convert the carbohydrates in fruits and grains into alcohol and carbon dioxide. For some How-To tips for home brewing, visit this website. And for a bit of humorous science/beer trivia, a Freakonomics post last year reported that a study by Thomas Grim, an ornithologist at Palacky University in the Czech Republic, claims that the more beer scientists drink, the less likely they are to have a paper published or cited. Americans consume on average 81.6 liters of beer per person each year. Beer sales amounted to $90.8 billion in 2008. More people prefer beer to wine or other liquors. In terms of things people buy from a grocery beer ranks 4th, after milk, soda and bread. The industry has experienced a new burst in activity thanks to high-end microbreweries like the Dogfish head in Delaware that specialize in small batches of hand-crafted brews often with exotic ingredients like green raisins, honey and saffron. According to the Beer Institute, a group formed to represent the industry before Congress the industry directly employs more than 946,000 Americans in virtually every corner of the U.S with a payroll of more than $25 billion. But, brewers like every other sector of the economy have been hit by the economic downturn. So, earlier this year the Brewers Excise and Economic Relief Act of 2009 or B.E.E.R Act was introduced to provide tax-relief to brewers. Every community needs advocacy and beer lovers, brewers, and wholesalers are no exception. The Brewers Association, for example, works to "promote and protect small and independent American brewers, their craft beers and the community of brewing enthusiasts." While the National Beer Wholesalers Association is interested in issues like state regulations, driving the marketplace, alcohol taxes, and the marketing and sales practices of the beer industry. They may be beer specific (instead of science or health) but every cause needs spokespeople defending their interests. This St. Patrick's Day, remember that you're enjoying your beer because someone was willing to stand up and advocate! Check out these posts from the New Voices archives: Draft Beer, Not People and The Science of Beer. I was a postdoctoral fellow in Dr. Wendy Hanna-Rose's lab. I was drawn to her lab because we share an interest in understanding basic developmental biology. 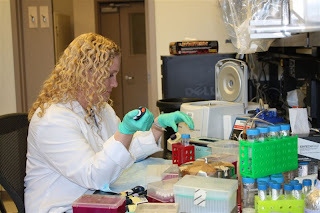 I had done my graduate work in a fly lab and wanted to explore working with a different model organism.Wendy uses a small, transparent nematode worm called C. elegans to understand basic questions about how animals develop. My tenure in her lab was short (less than 2 years) and I got to do some really exciting science. I wish I could have stayed longer but, more importantly; I was lucky to find an inspirational role-model who combines an amazing work-ethic with common sense, grace, humor and intelligence. Recently, I had the chance to chat with Wendy about her life as a woman in science. "All kids should be involved with science". Wendy has always (as far as I know) been involved with outreach. She was one of the few scientists in our graduate program to participate in a program called Expanding Your Horizons. The program allowed young girls to spend a day in the lab watching scientists at work. I think (and so does Wendy) that it is important for girls to see that there are women scientists heading up labs, allowing them to see real-life role models. Wendy says she has always found science to be fun and mostly, she loves sharing her love for science with others- especially kids , be they girls or boys. "We use scientific language at home". I asked her if science ever came up at home and she said " Of course." As a scientist, she says, she would like to impart at least some of her love for science to her kids. She says that like most working women she tries to compartmentalize her life into teacher, scientist, mom and wife but admits that she has failed in keeping work from invading her time at home. "I can't imagine what else I would do." We talked about the most challenging aspect about being a woman in science and she felt that the responsibility of securing funding for the lab was what kept her awake most nights. "When things are going well, you have money, it is the best job in the world. It is so much fun that it makes it easier to balance everything else in your life - like family. "But, she says, she has come to realize that funding is a roller-coaster and that you have to hope that you can make it through the lean years. The recent statistics about the alarming increase in the average age of a first time RO1 grantee came up and she exclaimed that she was one of those contributing to the statistic - she got her first RO1 grant at 42*. I asked her what she feels about some of her graduate students choosing to not follow her example and forge a career in academia. She responded by saying that she realizes that each individual has to find their own path. It matters to her that she trains people to be good scientists and to think like a scientist, not what career-path they ultimately end up in. Finally, I asked her, "Have you ever felt like quitting ?" "Yes" she responded, "Yes, I have thought about quitting, but what has helped me is building networks within the community, and having a truly collegial atmosphere at work - that helps." * The recent ARISE report compiles excellent data on young investigators in science and the challenges they face. This is Part 3 in the New Voices celebration of International Women's Day and Women's History month. Make your voice heard on how science is portrayed in state textbooks with the Texas Citizens for Science. If you're the artsy type, or just happen to like movies, check out the Imagine Science Films Festival. Know of any local advocacy opportunities? Share them in the comments section! Yesterday Matt Hanzlik shared his excitement over the executive order signed by President Obama. (Round of applause for Matt’s awesome post as New Voices' first guest blogger!) As exciting as the EO is, there will certainly be stem cell legislation soon as well. This begs the question though: If President Bush’s EO was strong enough to halt research for eight years, isn’t President Obama’s reversal equally powerful? The short answer is yes. Of course it is. However, for long-term sustainability, congressional legislation is necessary. Over time, the balance of power between the three branches of government has shifted in the U.S. government, rendering it less ideally balanced than the founding fathers intended. Due to this shift, it takes a new president to overturn an executive order. To overturn legislation (which is detailed in the Constitution) it takes an act of Congress (a new law) or a ruling that a law is unconstitutional from the Supreme Court. Legislation is not time sensitive. As we saw on Monday, all it takes is a new president to change the policy again without a law. Getting a bill through Congress - particularly one that is likely to be controversial - can take a really long time. This gives advocates an opportunity to show elected officials that people support the issue. For more on this issue and the details surrounding this specific executive order, see Sheryl Stolberg's piece in the New York Times. 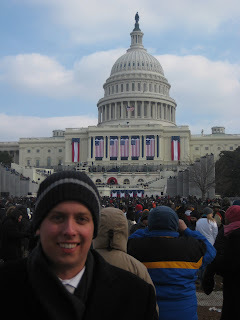 Guest blogger Matt Hanzlik at the inauguration in January. Monday was an exciting day for science in America. As you know, President Barack Obama signed an Executive Order removing the restrictions on federally-funded embryonic stem cell research imposed by President Bush in 2001. But Monday was more than an exciting day—it marked the beginning of a completely new era for science, research, and the possibility of cures for some of society’s most devastating diseases and conditions. I write today as a member of Research!America’s New Voices for Research initiative and as a patient advocate. My mother was diagnosed with Parkinson’s disease in 2005 when I was a senior in high school. As a son, student, member of the Parkinson’s disease community, and member of New Voices for Research, I whole-heartedly thank President Obama for ending the intense ideological influence that has blocked promising science for the past eight years. For patients and families like mine, suffering from debilitating diseases and conditions, time is of the essence. Not only did President Bush’s blockade of stem cell research cause permanent damage to America’s global scientific competitiveness—it stole precious time from those who needed it most. But that was then, and this is now. By signing the Executive Order, President Obama ended the legitimate frustration of scientists, researchers, medical professionals, patients and their families who courageously seek advancements towards cures. In place of frustration and anguish, scientists, patients and their families can now take comfort knowing that the President of the United States is once again on their side. President Obama’s Executive Order will allow stem cell scientists and researchers the backing of the federal government in their search for cures to debilitating diseases and conditions. We can all have hope for a healthier, brighter tomorrow. As embryonic stem cell research (eSCR) moves forward with the support of the federal government, resistance and misinformation from groups opposed to eSCR is sure to intensify. Now more than ever, it is our duty as scientists, researchers, medical professionals, and patient advocates to spread the truth about eSCR. We don’t know where potential cures may lie, and for this reason it is important to explore every avenue of stem cell research—cord blood, adult stem cells, somatic cell nuclear transfer, induced pluripotent stem cells, and embryonic stem cells. Don’t ever let someone tell you that adult stem cell research has already cured Parkinson’s disease, for example. I know dozens of people who are still stiff and shaking from Parkinson’s. They are looking to all forms of stem cell research for a potential cure. Please take a moment this week to join me in thanking President Obama for removing the restrictions on federally-funded embryonic stem cell research and offering hope to so many Americans. You can send the President a thank you note through www.whitehouse.gov/contact. I look forward to the journey towards cures we are about to embark on together. --Matt Hanzlik is a junior at the University of Minnesota’s Carlson School of Management. He serves as the National Advocacy & Government Relations Chair for the Student Society for Stem Cell Research (www.ssscr.org). We recently posted about how much time you can save by using an RSS feed. Now we want to help you get started. When I first wanted to learn about using RSS, my best friend showed me Google Reader. I love it and find it really useful. Additionally, because many of my friends use it, we can share interesting news stories with each other. Below is a video about how to get started using Reader (you don't have to create a new email address, just use whatever you have now to start an account). If you're a bit more experienced, you can check out the videos on sharing and managing your feeds. To those of you who subscribe: how do you like your aggregator? What do you like best about subscribing to feeds? This is Part 2 in the New Voices series on helpful technology for science communicators and advocates. I was fortunate to encounter Connie while she was an assistant professor in Biology at Simmons College. I signed up for Connie’s course on HIV/AIDS and can honestly say that it changed my life. I studied Economics and Psychology during college so science was a small step outside my comfort zone. I had always had an interest in public health, but had never actually explored it. The great thing about Connie’s HIV/AIDS class was that it was designed for Honors Program students who came from a variety of academic backgrounds. Therefore, Connie interwove a multitude of disciplines we were studying—economics, public policy, international relations, etc. —into the coursework to help us understand how science related to our existing world views. Connie has since taken her enthusiasm for science to a different type of venue, as the Executive Director of the Science Club for Girls (SCFG). This organization runs science clubs for elementary and middle school students. The goal is to introduce fun, hands-on explorations to girls as early as possible to create a safe environment to model “science-ing,” i.e.—to foster an environment in which girls can ask questions, make mistakes, learn to work with each other, and defend ideas. The Club seeks to create positive psychological associations with science so the girls develop an interest and realize the relevance of science in their lives. SCFG brings in scientists and scientists-in-training to work with the girls. These women are undergrads, grad students, and professionals. The partnership provides role models and mentors in science. The girls typically do not have a lot of hands on experience with science in school, so the science clubs provide that in an encouraging setting. The science clubs meet weekly over 10 weeks and each session is based on a theme. The clubs are based at schools, community centers and churches and target girls from underrepresented groups and primarily low income families. The programs are completely free and open to everyone. Some of the girls might be the first in their family to go to college. I took the opportunity to ask Connie a question that many women may wonder about at some point in their lives. What advice do you have for young women looking to choose science as a career? Correction: Dr. Chow received her B.S. from Brigham Young University, not Harvard (as posted this morning). Check out the Women in Science series on the Smithsonian channel this month. Sunday, March 8 is International Women's Day. Since 1911, countries have celebrated the economic, political and social achievements of women. There are over 160 events planned in the U.S. alone throughout March for International Women's Day. Purely by circumstance, all of the regularly contributing authors here at New Voices are women. As such, we know that we wouldn't be where we are today without the women who have been there before us - especially those who shaped our paths to science, policy, and advocacy. So, over the next month, we'll be introducing you to the important women in our lives who helped us get to where we are today. We invite you to join us in this celebration by either posting about an influential woman in your life or commenting about them below. Dr. Christine Kiefer is a post-doc in the Laboratory of Cellular and Developmental Biology at the National Institute of Diabetes and Digestive and Kidney Diseases, NIH. Last week I attended a briefing on"Getting more bang for our buck from the NIH intramural program" hosted by Faster Cures. The task force had several excellent recommendations for improving research within NIH and getting the intramural program (IRP) to tackle the "challenges of 21 st century medicine." Until a month ago, I was slaving away at the bench as part of the IRP scientific community, so the issues raised really resounded with me. The intramural (within NIH) and extramural (outside NIH) scientific communities should collaborate more. This will foster greater understanding among members of both groups and lets face it, more collaborations are always better when it comes to research. Resources within NIH should be used to capacity (including: clinical center, vaccine research center, chemical genomics center etc.) These are multi-billion dollar investments that - if the IRP cannot make full use of - should be thrown open to the scientific community at large. The task force advises that scientists within the IRP (since they have the luxury of not competing for grants) should take on long-term, high-risk projects. First, the bulk of hands-on research within the IRP is performed by post-doctoral trainees* (post-docs for short). The trainees are cheap labor, though one could argue that what they don't get monetarily, they make up for by getting trained at such an internationally renowned institution. Second, by nature of the fact that these folks are "trainees", they are a transient population. IRP post-docs are usually appointed for a term no longer than 5 years. The idea being that they get trained (for a job) and they move on when that training is complete. Third, the five years of a post-doc term is a short window for a post-doc to prove themselves by establishing a research problem, getting their research going, and - most importantly - publishing their findings. Most post-docs need a decent publishing record to land jobs as researchers and launch their own labs. If the IRP were to focus on long-term research, who will do the work? Drive the best minds away from training at NIH. Moreover, long-term research may not have "favorable" outcomes. What happens then? If after working on something for seven years (like solving the structure of a protein complex; not at all inconceivable) the post-doc has nothing to show for their labor (read: publications), who will hire them? What kind of career risks would post-docs be taking by agreeing to concentrate their efforts on long-term research projects? Would they even be willing to do that? * The NIH IRP also benefits from the labor of post-baccalaureates, graduate students, clinical researchers and others. We've been talking a lot about spokespeople for science lately (here and here); so when a colleague shared this clip from the Daily Show with us, we couldn't help but think that Harold Varmus was a good example of exactly what we're talking about. Like you, I have attended many events over the years---guest lectures, forums, topical and panel discussions, the list goes on. There are many ways that an event can go well or miss the mark. Sometimes overlooking the tiniest details can create a miserable experience. This happened recently at a meeting I attended that lacked one thing: water. I had forgotten my water bottle and although all of the speakers were captivating (rare! ), I sat there for four hours contemplating my state of dehydration. Needless to say, I may have missed a few details as my mind wandered. Planning events can be challenging and even daunting if you’ve never done it before. But don’t be intimidated, because we’ve compiled a list of basic how-to tips to get you started! Define your goal. What do you want to achieve and why? Do you want to educate people about an issue, have a debate between opposing sides, or position your organization as an expert on a topic? Once you figure out what it is you’re trying to achieve, you can plan more effectively. Choose a topic or theme. You can hold a lecture or discussion about anything. However, if you are going to focus on a current topic, make sure that it maintains it’s relevancy throughout the planning process. For example, it probably wouldn’t have made sense to plan a panel discussion on the American Recovery and Reinvestment Act as it moved through Congress because the process went so quickly that the topic could be irrelevant by the time the panel discussion occurred. Target an audience. Identify who the topic/theme of your event will appeal to. Determine how to advertise to them and how to accommodate their schedules. For example, if you are targeting full time students, you could post colorful flyers around campus. The event could be held on campus during a lunch period or in the evening (free food helps too!). Choose the type of event: lecture (ex. brown bag lunch), panel discussion, interactive event (ex. a hunger dinner), forum, movie showing followed by a discussion, etc. Pick a time and location. Plan ahead! If you would like to host your event in a popular location, you will have to book it months in advance. It is important to consider your audience when planning the time and place. For example, if you are targeting parents, hold the event at a child-friendly location like a school cafeteria or gym at a time when parents are not working. This is Part 1 in the New Voices series on event planning, so check back for more tips soon! Over the next month we'll go over why these are important characteristics of a scientific spokesperson in particular. Are there any other major points you think should be added to the list? *"The Clinton Health Care Plan: What Went Wrong" by Leonard Steinhorn. From Jerry A. Hendrix, Public Relations Cases, 4th edition. This is Part 2 of the New Voices series on being a spokesperson for science.